7.71 points at 17 votes (rank 151). Bomberman 64 is a Bomberman clone as e.g. Bomb Squad or Bomb Mania and consists of 8 levels. In each level there is a hidden exit, which needs to be bombed free within a certain time limit. 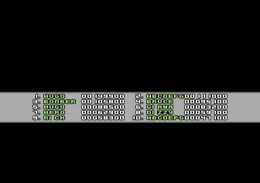 During this the player is hindered by different enemies. In the game several extras appear which can make it easier or harder. At the end of the eighth level the player has to face an end boss. The previous version was released 10 years ago under the name Boombastic Benny and comprised a battle-mode for 3 players. 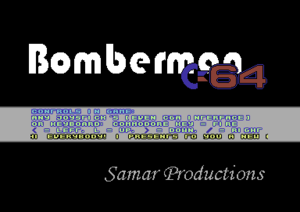 In 2013, a significantly extended version of the game was released also by Samar Productions, named Bomberland, which even contained a 5-player mode. 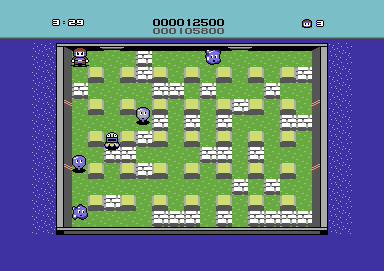 Bomberman is a mazelike computer game, whose aim is to destroy all obstacles and enemies by placing bombs skillfully. The game area consists of an assembly of destructible and indestructible walls. By laying down bombs greater areas of the field can be made accessible. Below the destructible walls you can find bonus items that can be collected. E.g. with a bomb the player gets an additional bomb. A flame raises the reach of a bomb by one size. 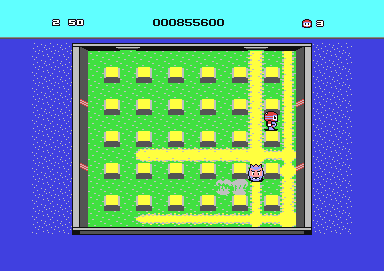 In the first levels there are single screens with nicely animated multicolour sprites and adequate sound effects. 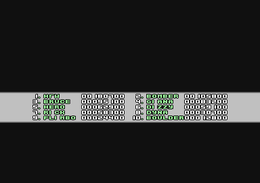 In the higher levels the game area is bigger, so that it gets scrolled. Unfortunately, Bomberman 64 has no multiplayer option. In the original version the highscore list is not saved. For every destroyed enemy you will be awarded 100 - 2000 points. The effect of the collected bonus items is taken over to the next level. Also bonus items and skulls can be bombed. 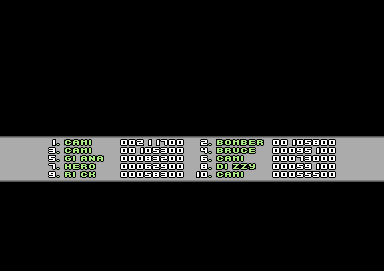 Sledgie: "The game is very well programmed and enrichens the C64 scene with a very good one player bomberman version. From me it gets the full 10 points." Örg: "Well, thats how it should be. I think the game is fantastic! So also from the full 10." There was a contest in 2007, where they looked for the player who makes the 8 levels with the most points. More information is given in the scroll text in the title screen. For this game no official cover was released. This page was last modified on 17 November 2017, at 20:28.